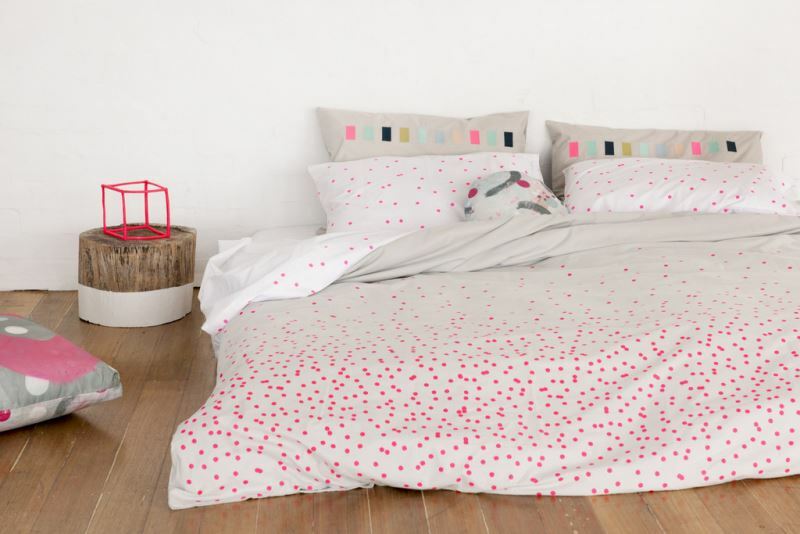 From curves to dots…Feliz’s Sprinkle Sprinkle Fluro Pink bedding features a confetti-style pattern on organic grey cotton, but you can also order the pattern printed on white. (Not to mention, the design is available with charcoal dots rather than the fluorescent pink variety). 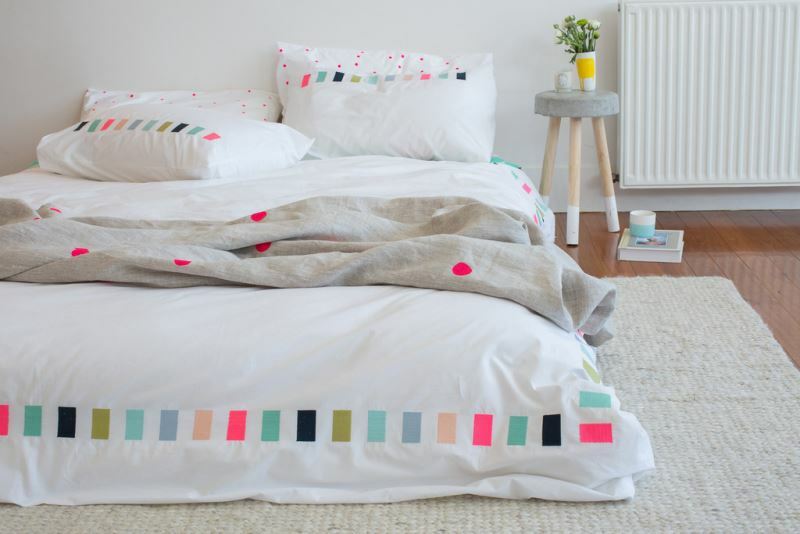 Thread Lightly is the brand’s embroidered bedding featuring white or grey cotton and a range of vibrant rectangles. In true Feliz form, the design is eye-catching and commanding while still maintaining a fresh, clean look. Add the fact that organic, non-toxic materials are used to create an array of gorgeous products, and it’s no wonder Feliz is making a splash this spring! Black and white reign at Dusen Dusen, as do bold pops of color. Launched in 2010 by Ellen Van Dusen, this Brooklyn-based brand has a fine art feel that is both on-trend and unique. 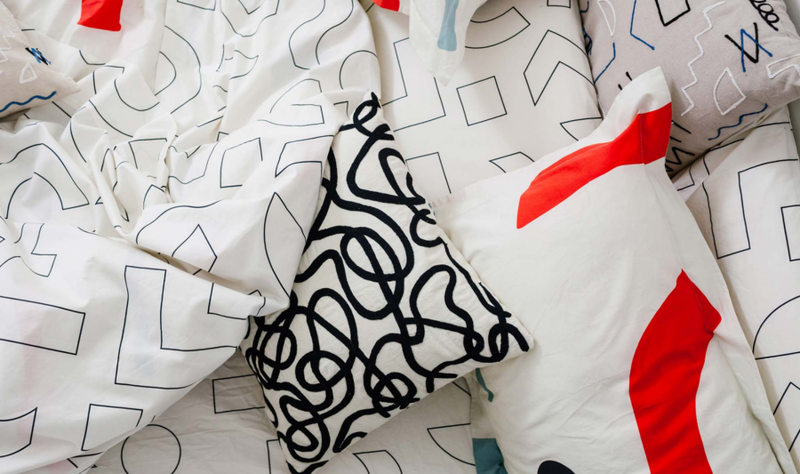 Originally offering a line of womenswear, the brand expanded in 2015 to include Dusen Dusen Home, which includes towels, pillows, blankets, and of course, bedding!